CENTRAL Queensland has missed out on much-needed rain, despite our far northern neighbours receiving a deluge off the back of a tropical low in the Gulf of Carpentaria. Earlier in the week, the Bureau of Meteorology's Mark Trenorden said these falls would not make it down the coast to Central Queensland. He said the far north-east corner of the Central Highlands could expect isolated showers, however he was not confident it would be enough to provide relief to the catchment areas needed to replenish Fairbairn Dam. On the coast, Mr Trenorden said heavy showers would dissipate before reaching the Central Highlands. These predictions turned out to be correct, with Emerald receiving only 0.6mm of rain over the past week, according to BoM's rainfall chart. Blackwater fared even worse, with no rainfall recorded. However 3mm was recorded in the Capella area. This news has dealt yet another blow to the Central Highlands as Fairbairn Dam continues to plummet towards record lows. 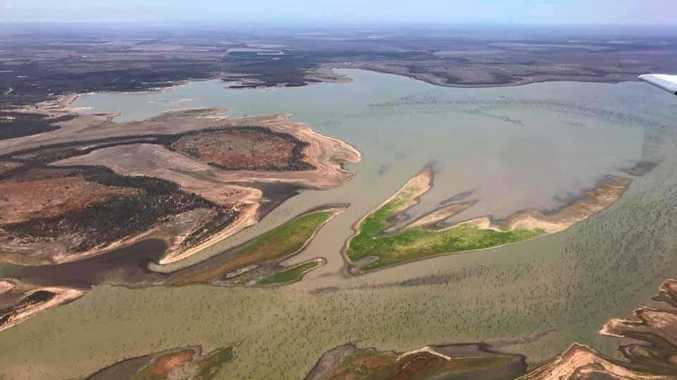 Last week, Central Queensland News reported Fairbairn Dam was 2 per cent off reaching record low water levels.